Is your child’s sport season coming to an end or just beginning? 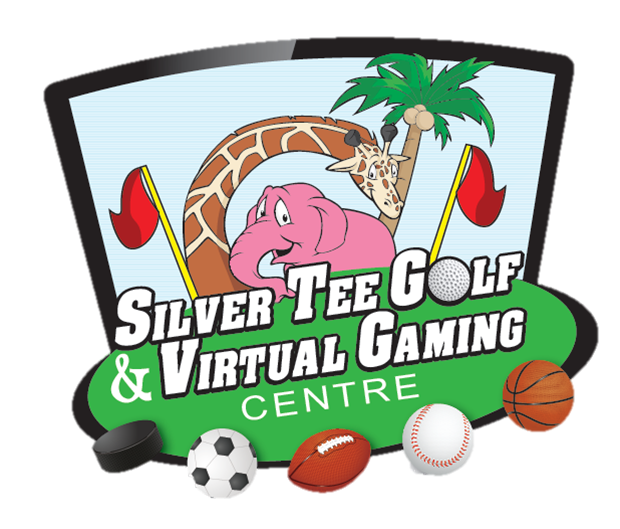 If you’re looking for a great way to celebrate with your team – think Silver Tee’s Virtual Gaming Centre! The fun options are limitless! It’s easy to create a little friendly competition with participants playing one sport (such as hardest slap-shot) or have them rotate through several sports (like scoring the most points in basketball, or breaking the most targets) accumulating points for multiple sport achievements. 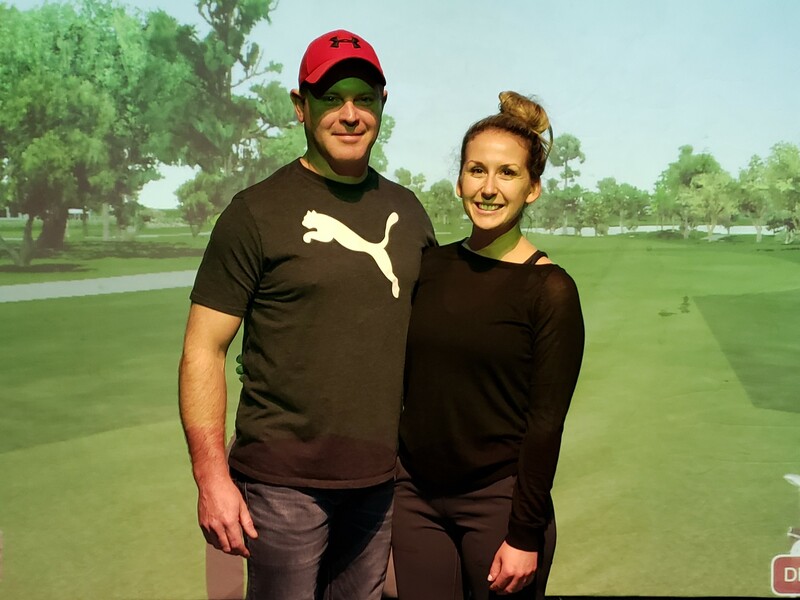 We offer affordable group discounts, flexible simulator or full facility rentals terms as well as fresh and fantastic catering choices by Shots & Slices. Is your team just beginning its season? 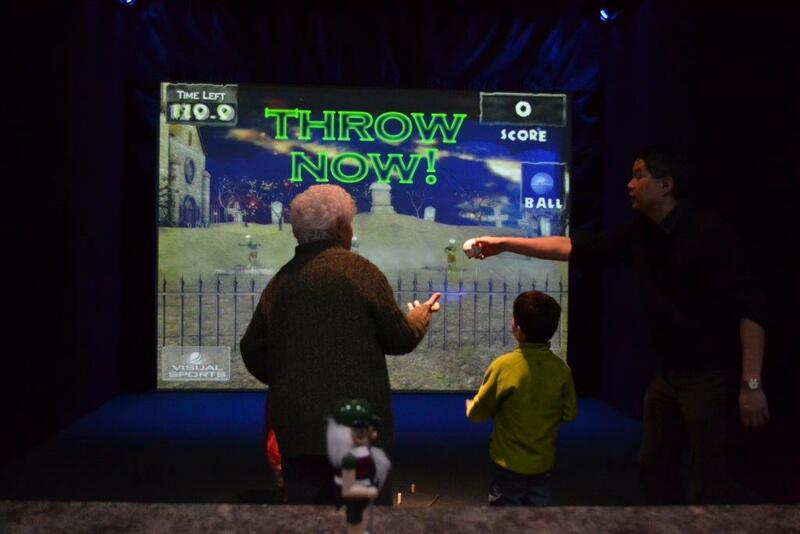 Our virtual games and sports are a great opportunity for parents and children alike to get to know one another. Games and sports can be a perfect team building experience – fun and challenging! These two boys were having a great time being photographed with our resident Zombie “Zeke”. We are here for your Christmas school break fun! 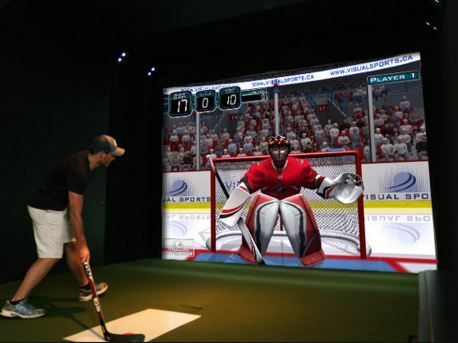 Get the kids out of the house and active with our interactive virtual games and sports! Do they play hockey? Love soccer or baseball? Have they tried the super-popular zombie dodgeball? We have all the equipment* and amazing technology for them to enjoy (and exhaust themselves)! Our simulators rent by the hour – not by the person. We recommend a maximum of 8 kids per simulator – giving you a lot of bang for your buck! Give us a call if you have any questions or to reserve your simulator during Christmas break: 519-966-4911. We’re open at 11am Monday to Friday and at 9am on Saturdays and Sundays. *Excluding golf: You must supply your own clubs. Thanksgiving week-end is coming quickly. It’s the perfect holiday to unwind with friends and family; bonding with great food and traditions. Beat your turkey coma and get active Thanksgiving week-end at Silver Tee. Brave the elements outdoors by hitting the driving range or playing mini golf. 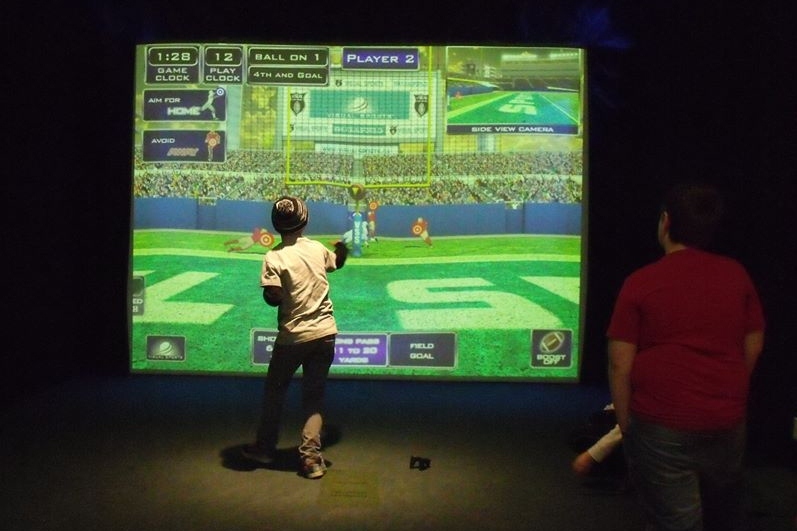 If you’re more the indoor type – challenge your group to virtual games and sports; great for people of all ages and abilities! We are open 11am to 7pm daily. See you soon! We’re always so surprised when people haven’t heard about or seen our new Virtual Gaming Centre! If you’re just learning about us, we hope you’re ready to come on down and have some fun! Oh, no! 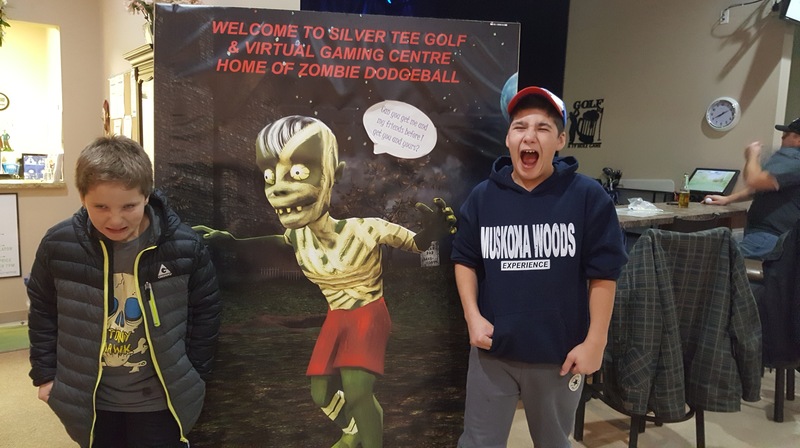 These once adorable kids have been turned into Zombies by Zeke – the leader of the Zombies here at Silver Tee! Nope! They were faking it and they are now ready to battle the Zombies! Good luck!